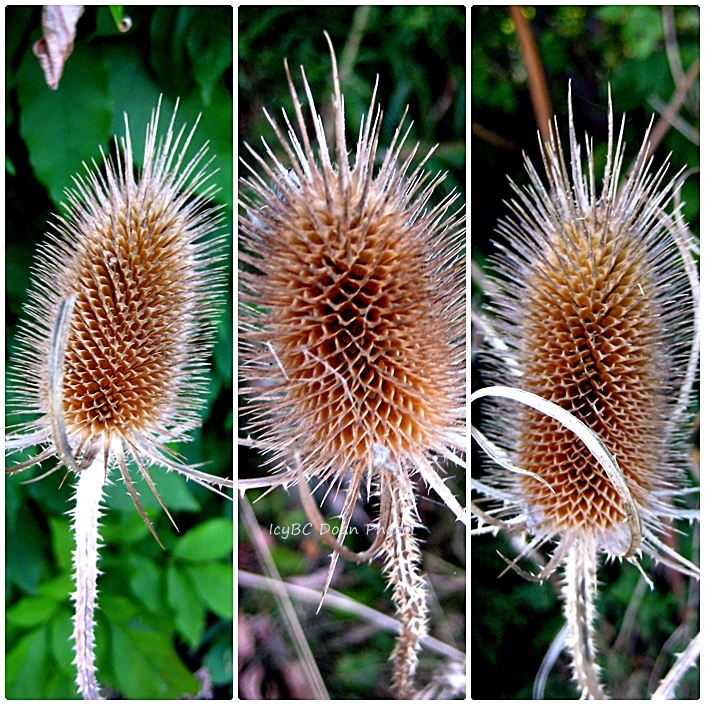 These winter teasels decorated the edges at one of the fields where my son played soccer. 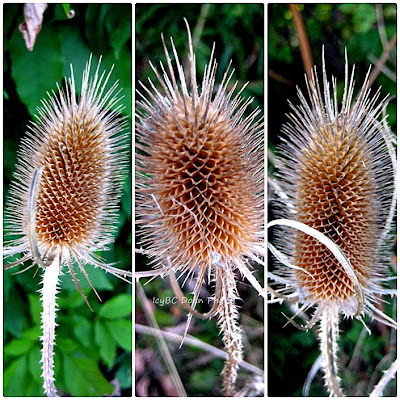 They were quite amazing and beautiful as each one was different from the others. The way they presented themselves, I had no curiosity in touching. We showed up at this field in the late season, so my mind was wondering on what they looked like before reaching this stage. Sharing with Our World Tuesday! They are beautiful, lovely images! Enjoy your week ahead! I didn't know they could look so beautiful!